Who says fall decor and tablescapes just have to be red, yellow, brown and green? 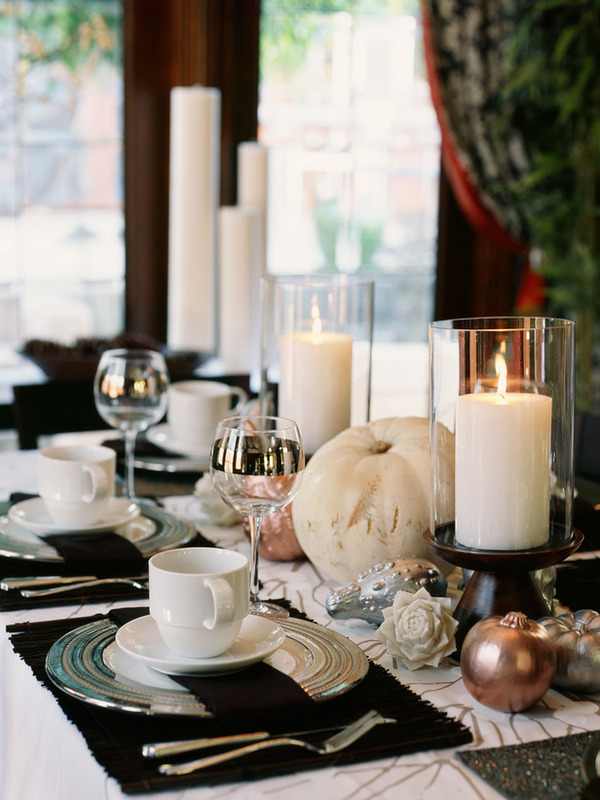 Look at this beautiful modern fall tablescape using metallics! Painting gourds, squashes and pumpkins can really bring a new look and feel to your tablescape like these little metallic ones do. We are just smitten for these place settings too. The shiny teal stacked plates with the coffee mug on top is just picture perfect. 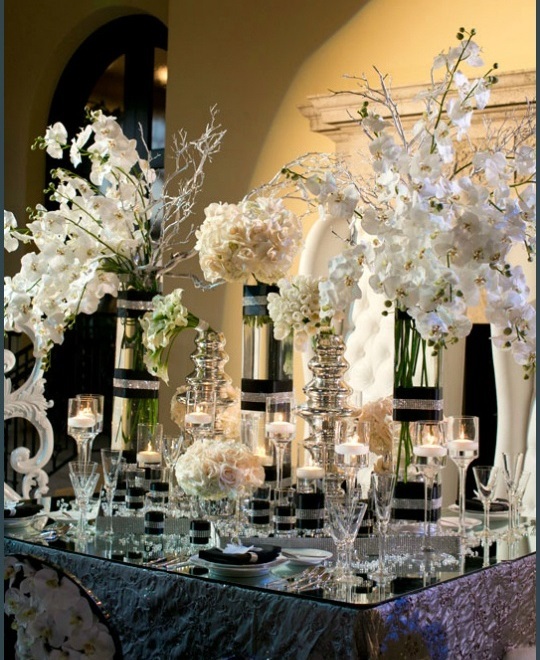 The silver lines wine glasses and the candles in these gorgeous holders really complete the look and make it pop!